The Echuca Wharf was built as part of the Echuca port complex between 1865-67, with later extensions,for the Victorian Public Works Department by G. Dwyer and Co. following completion of the railway from Bendigo in 1864. The wharf is now 75.5 long and is constructed from river red gum felled and milled locally. The wharf is over ten metres high to allow for variations in winter and summer river levels, allowing goods to be unloaded all year round. The Wet Dock, constructed in 1877 to increase the capacity of the port, sits to the south of the wharf. The dock was excavated from the bank of the river and was formed by sheet piling retained by timber waling and timber piles at 3 metre centres. The wharf formed the western edge of the dock. At the time of construction the Wet Dock was 24 metres wide and over 45 metres long. The form of the dock is intact and is clearly apparent, although only remnant components of the timber structure survive. The wharf was extended in 1877, 1879 and again in 1884 in response to the increased volume of river trade traffic. (When constructed in 1865-67 the wharf was 92.4 metres long, eventually reaching 332 metres in length following the 1884 works.) Various parts of the wharf and associated infrastructure have been renewed and/or restored throughout the years. Remnant timber pylons (visible only at low water) some distance from either end of the current wharf demonstrate its maximum length. The port was serviced by direct rail access with the construction of railway sidings adjacent to the wharf and by 1877 there were seven railway sidings approaching the wharf. Cranes, wool presses and bond stores were built along the wharf's upper level. The wharf was reduced in length during World War II by the Victorian Railways and the original spur railway line to the port was removed in 1971. 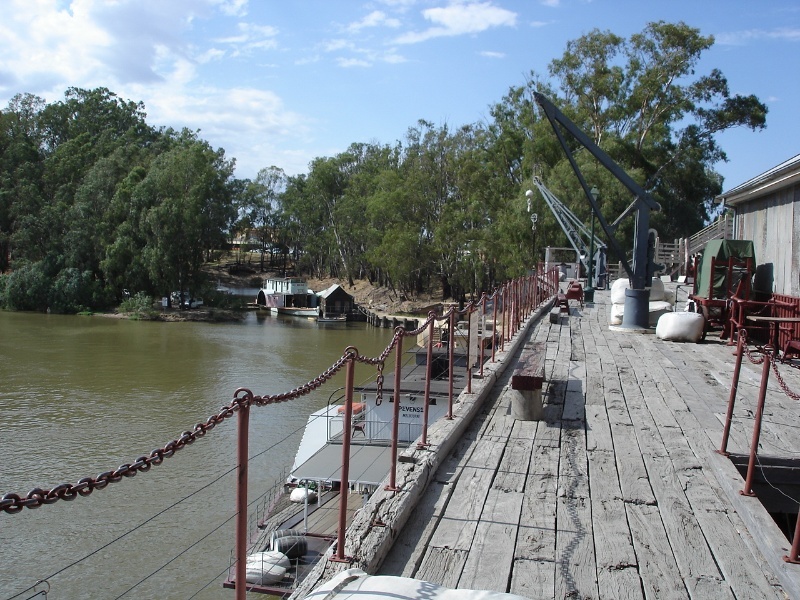 The Echuca port facilitated the movement of goods through Echuca from the Murray Darling catchment, which included the rich pastoral districts of the Riverina, to Melbourne. Echuca became the second largest port in Victoria with the Murray Darling river trade estimated to be £5 million in 1882, a large percentage of which being in wool imported into Victoria from NSW. 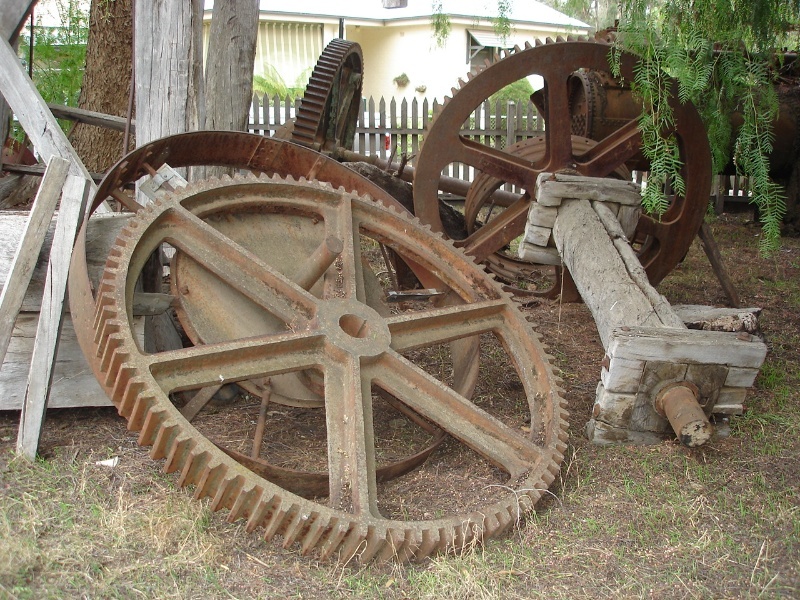 Echuca Wharf is of historical, architectural and archaeological significance to the State of Victoria. 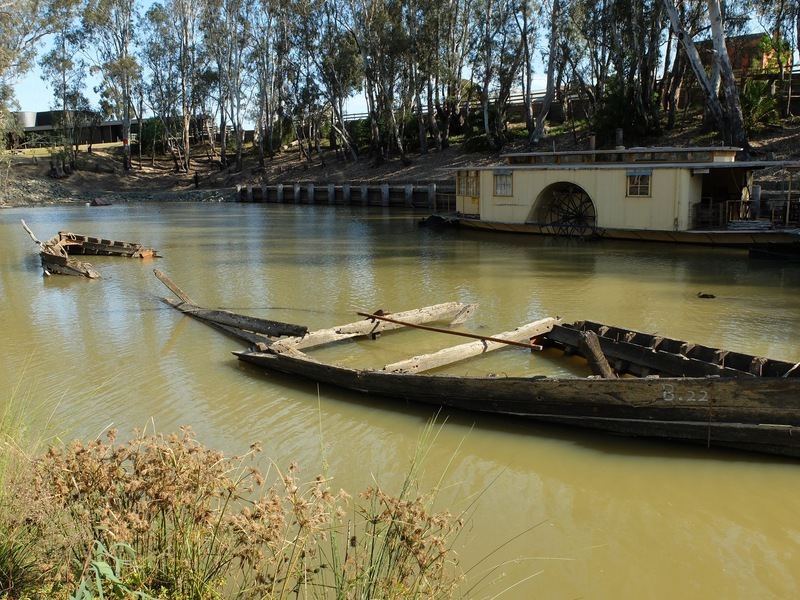 Echuca Wharf is of historical significance as the only wharf which illustrates the nineteenth century river trade on the Murray-Darling River system. 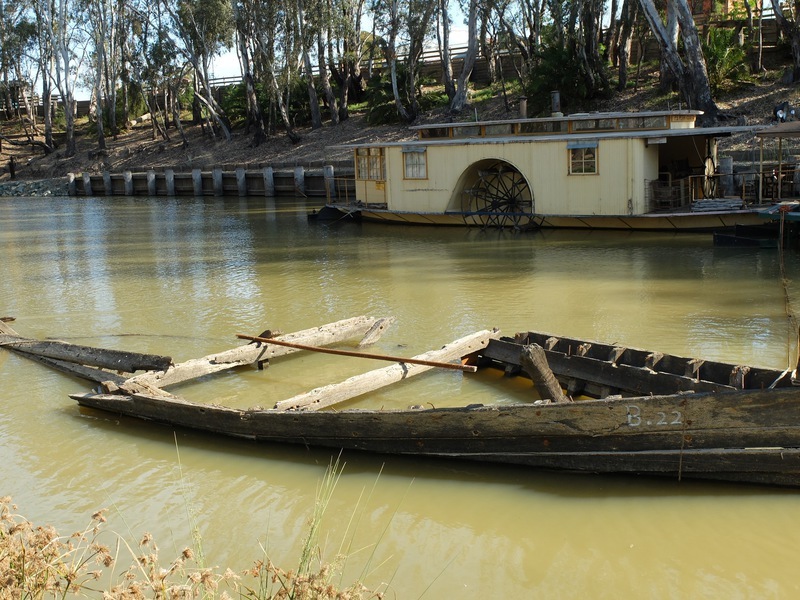 Other Murray River wharves also existed at Swan Hill, Koondrook and Mildura but none of these were of the scale or economic importance of the Echuca Wharf. 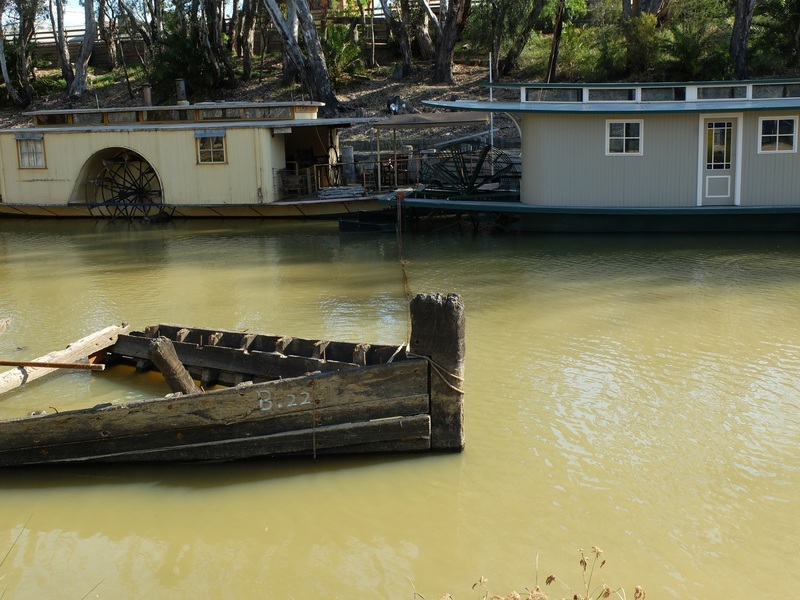 Echuca Wharf is of historical significance for its role in the economic growth experienced by the colony of Victoria in the second half of the 19th century. 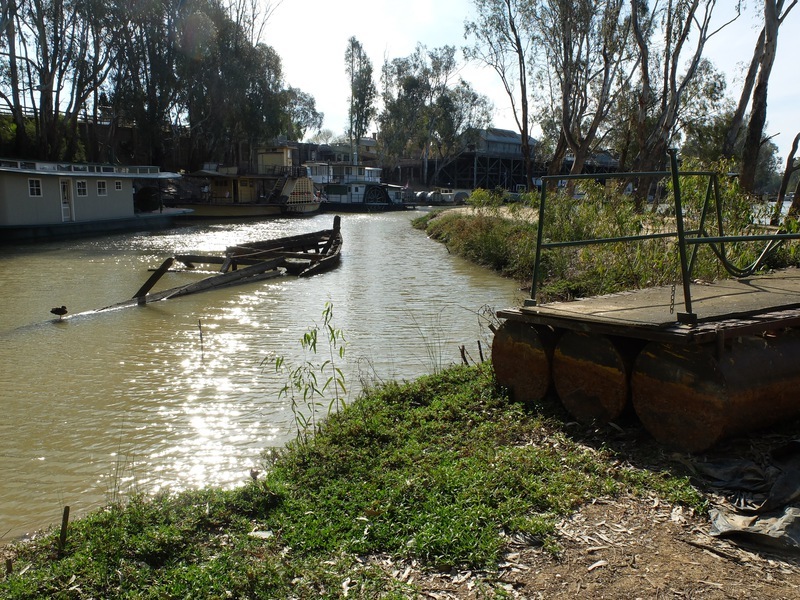 Echuca Wharf is of historical significance as part of the Port of Echuca which became Victoria's largest inland port. 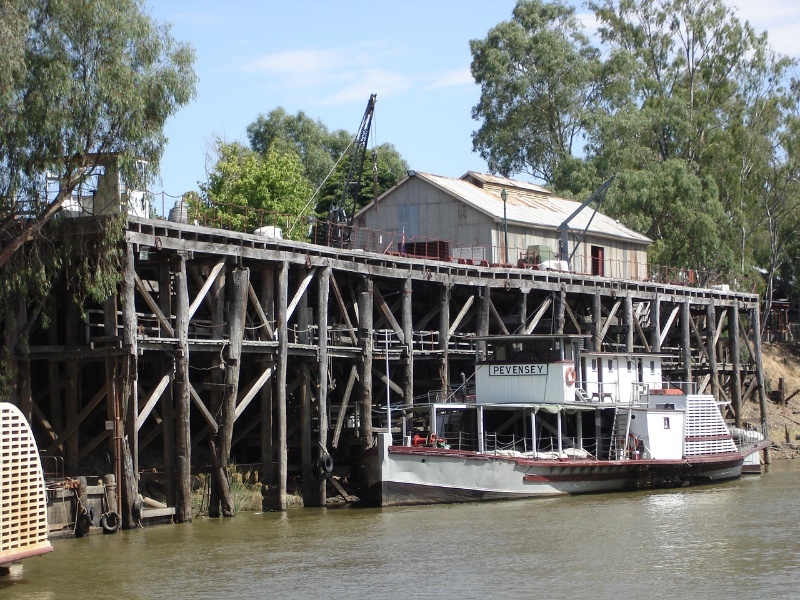 Echuca Wharf is of architectural significance as a rare extant example of nineteenth century high level timber wharf construction. The extant section of Echuca Wharf dates from 1865 and although altered through maintenance continues to demonstrate the construction techniques required to built such a structure. 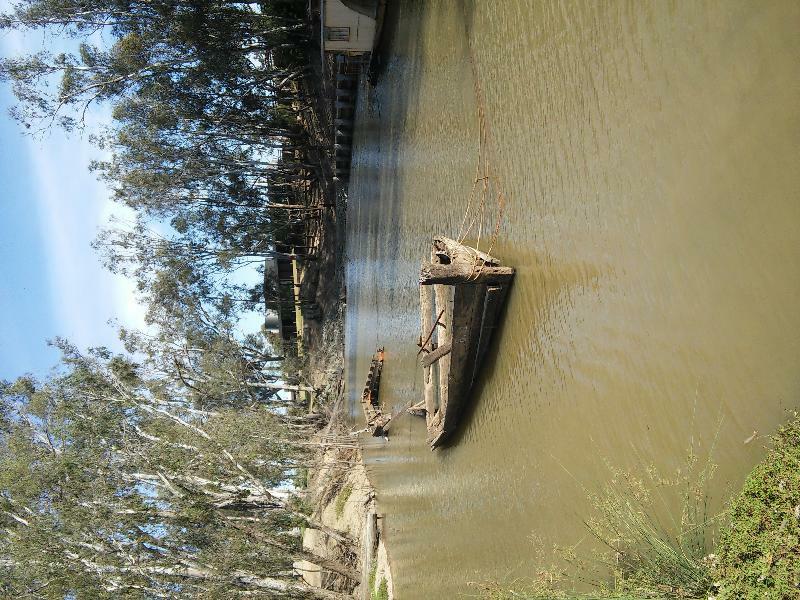 The Echuca Wharf site is of archaeological significance owing to the potential for the site to contain important in situ fabric, artefacts and other deposits associated with the development, occupation and operation of the Port of Echuca site. As Executive Director for the purpose of the Heritage Act 1995, I give notice under section 46 that the Victorian Heritage Register is amended by including the Heritage Register Number 2168 in the category described as Heritage Place and Archaeological Place. on Diagram 2168 held by the Executive Director. 2. All of the land shown L1 on Diagram 2168 held by the Executive Director being all of the land described as Crown Allotments 7, 8A and 8B, Section 5 and part of Crown Allotment 2 Section 9A in the Township of Echuca, Parish of Echuca North. The Echuca Wharf, built in 1865-67, is over ten metres high to allow for variations in winter and summer river levels, allowing goods to be unloaded all year round.The wharf is constructed from river red gum felled and milled locally.Various parts of the wharf and associated infrastructure have been renewed and/or restored throughout the years. The wharf was serviced by direct access to the Victorian Railways with the construction of railway sidings at the time of the construction of the wharf. By the time the wharf was extended in 1877 there were seven railway sidings approaching the wharves. Echuca became the second busiest port in Victoria. By 1882, trade being conducted on the rivers was estimated at £5 million per annum, a large amount of that being in wool imported into Victoria from NSW. 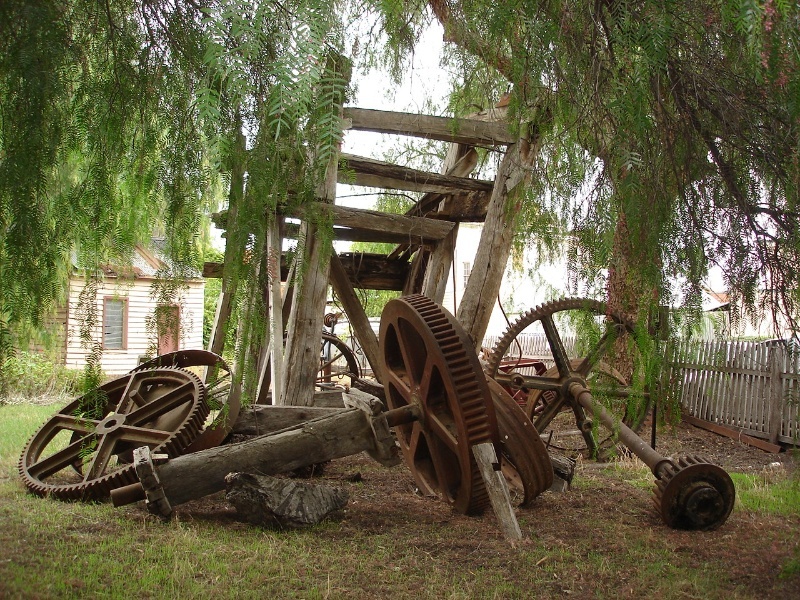 The population of Echuca began to decline in the 1880s and the wharf fell into disrepair, though it still saw some commercial use. 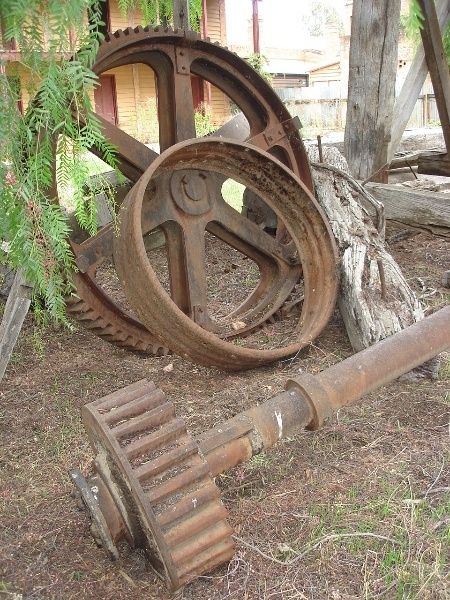 In 1923 Evan Bros moved their saw milling operations from Barmah to the northern end of the wharf over the site of what had previously been occupied by the wharf master's residence and the 1874 railway turntable. The site took advantage of the wharf and its cranes and the nearby railway sidings form which Evan Bros extended a rail line into the saw mill to allow easy loading of sawn timber for transport by rail. In addition to the necessary machinery and sheds Evans Bros also built a new log skid and a narrow gauge rail line for an engine to drag logs up the skid. The mill was destroyed by fire on 24 February 1959. It was rebuilt immediately and the fabric associated with the mill site dates from this time. Evans Bros eventually sold the mill in 1983 after which it continued to operate as a mill until 1993 when it was bought by the Shire Campaspe and incorporated into the Port of Echuca. Various parts of the wharf and associated infrastructure have been renewed and/or restored throughout the years. Remnant timber pylons (visible only at low water) some distance from either end of the current wharf demonstrate its ultimate length. 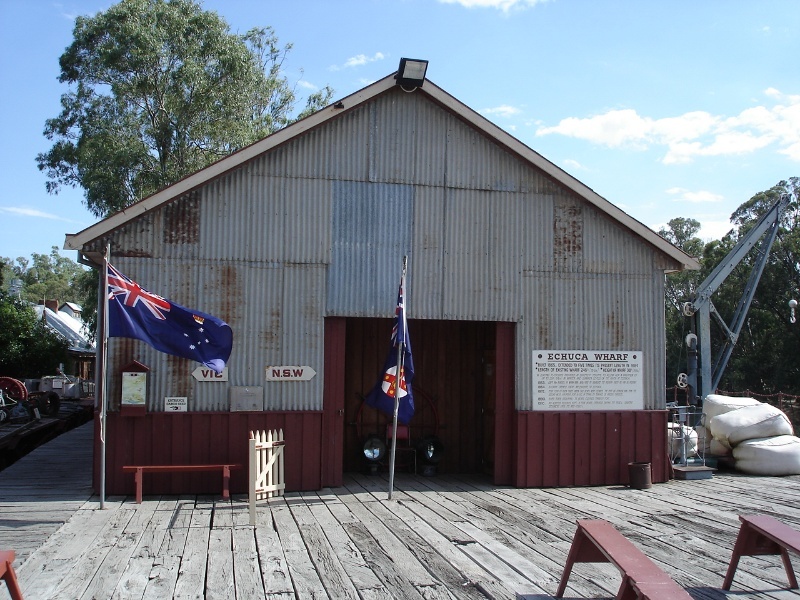 The Echuca Wharf was built in 1865-67 for the Public Works Department by G. Dwyer and Co. following completion of the railway from Bendigo in 1864. As the river trade increased in volume, the wharf was added to in 1877 and again in 1879, when it was five times its present length. The wharf structure is entirely timber, said to be the fine local red gum, in long straight grained pieces no longer obtainable. The great height of the wharf allowed for the ten metre variation in winter and summer river levels, so that goods could be unloaded all year round. Cranes, wool presses and bond stores were built along the upper level and goods were loaded at a railway siding, of which some elements remain. 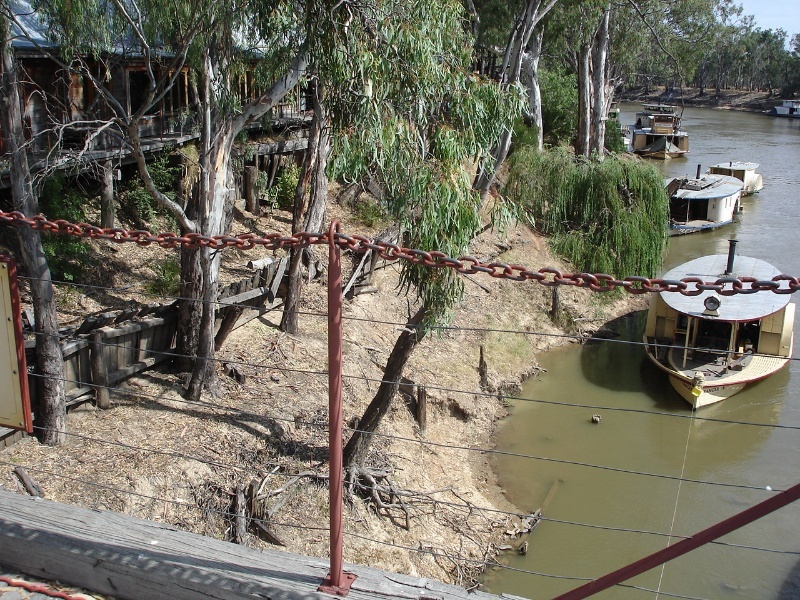 The wharf is understood to be the only high level wharf still intact which reflects the age of river trading on the Murray-Darling River system. The high level road/rail bridge was built in 1875 to extend the Victorian railways transport into New South Wales. 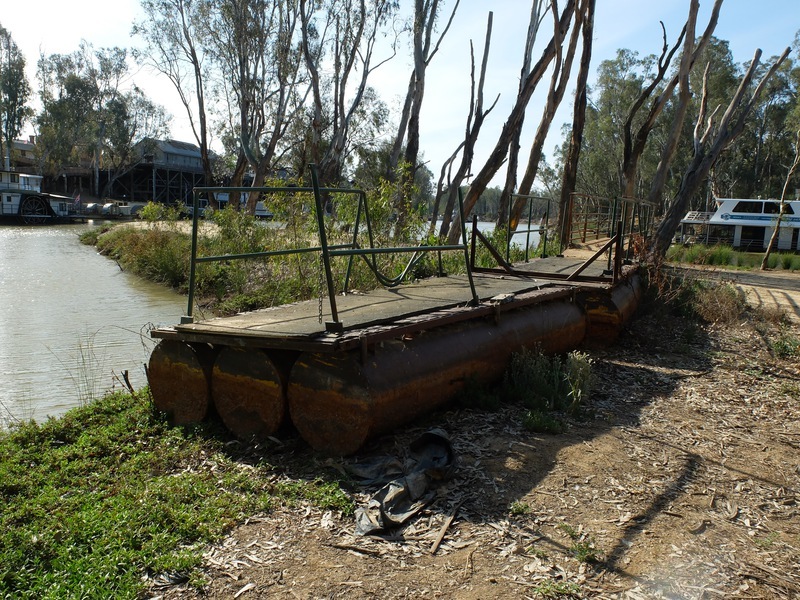 Its construction marked the apogee of Echuca's development as a great river port, and it heralded the decline of river transport in the Murray. Although large quantities of wool and wheat were moved through the Port of Echuca to the rail head and to Melbourne, an increasing amount was going on down the river and being lost to the State of Victoria. By carrying the railway into New South Wales much of this cargo was regained thus eliminating a lot of the river traffic. Archaeological evidence indicates that by the early nineteenth century, the central and lower Murray River and the lower Darling were among the most densely populated areas of Aboriginal Australia (Mulvaney and Kamminga, 1999, p69). In 1841, pioneer settler E.M. Curr estimated the Bangerang people of the region to have numbered 1200 and to have been divided into a number of localised groups including the Woollathara (Wollithiga), who were particularly associated with Echuca (Howitt, 1996, p53). Introduced disease reduced the numbers of Aboriginal people in the region throughout the nineteenth and early twentieth century. Following the establishment of the colony of South Australia in 1836, navigation of the Murray River seemed to offer the new colony favourable economic prospects. Recognising this, in 1850 the government offered a prize of ₤2000 each to the captains of the first two iron vessels to reach the junction of the Murray and Darling Rivers (Lee, 2003). 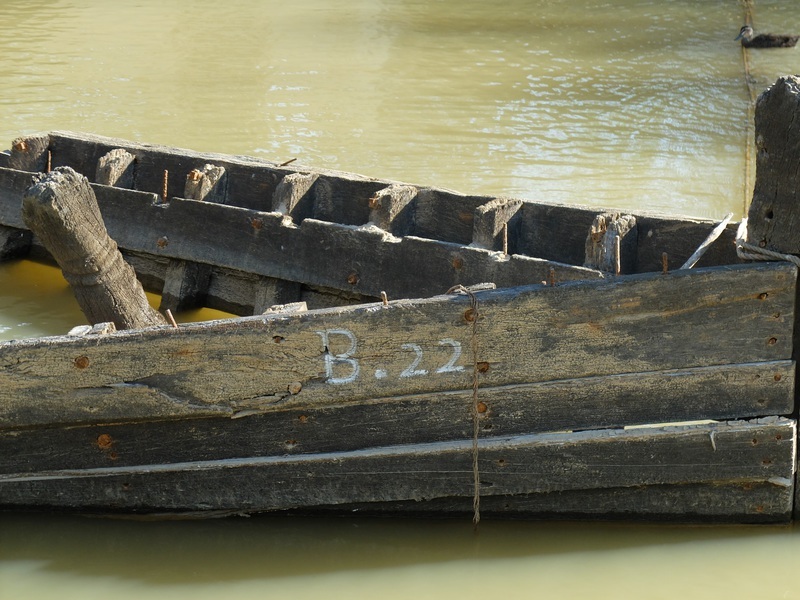 The prizes were successfully claimed in the spring of 1853, though an amendment to the prize conditions was made, making timber hulled boats eligible. All of the steamers active during the period of intense commercial navigation proved to be timber-hulled (Lee, 2003). Between 1855 and 1859, various voyages established the practical limits of trade, taking vessels up the Murray to Albury, the Murrumbidgee to Gundagai, and, amazingly, up the Darling to Walgett, 1,650 miles (2,660 km) upstream from the Murray Darling junction. Trade was, however, dependent on highly variable water levels. 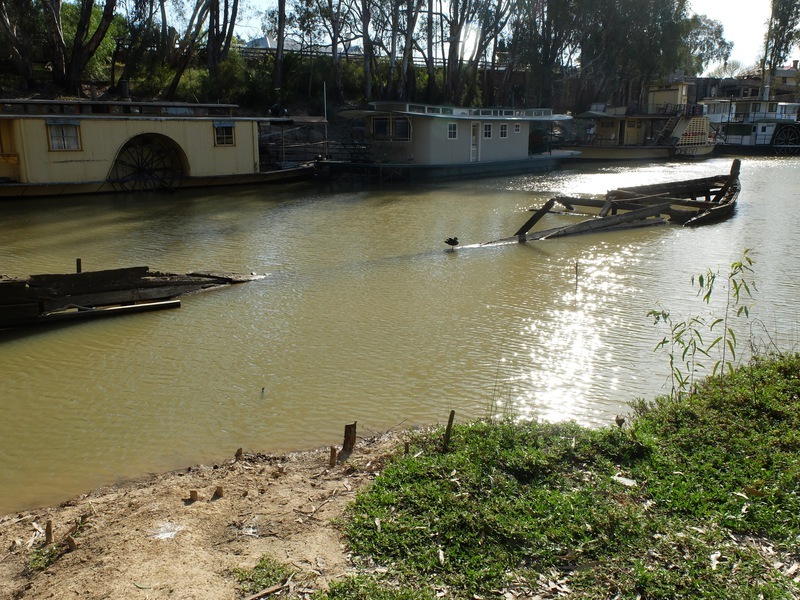 (That variability being reflected in the 10 metre height of Echuca Wharf, built to accommodate three dock levels, to service the river both in flood and low water.) 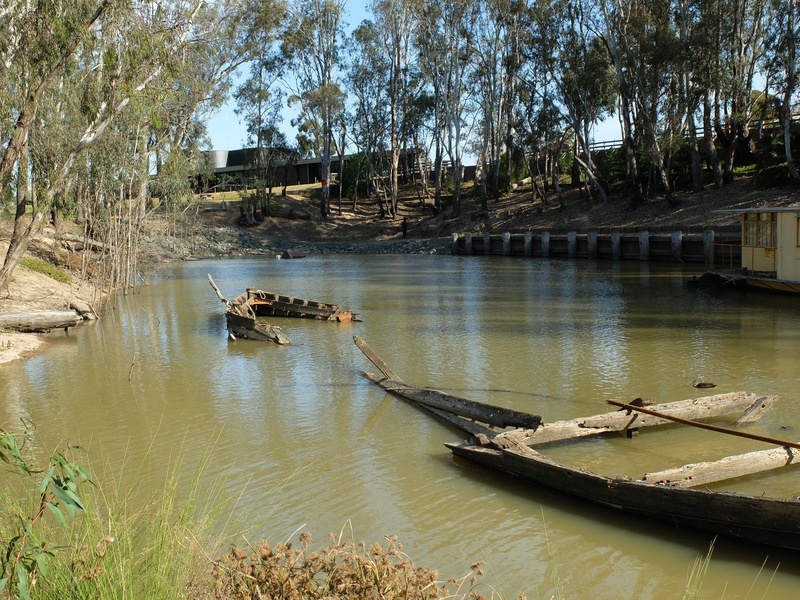 In drought, most of the Darling and the Murrumbidgee Rivers were rarely navigable, and even on the Murray the only reliably navigable waters were from Echuca downstream (Lee, 2003). 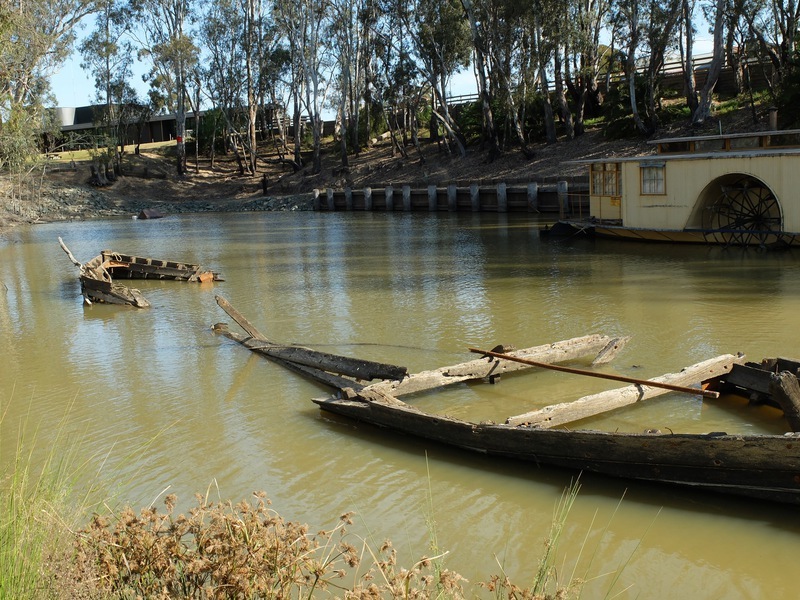 The Murray River trade quickly became economically important. 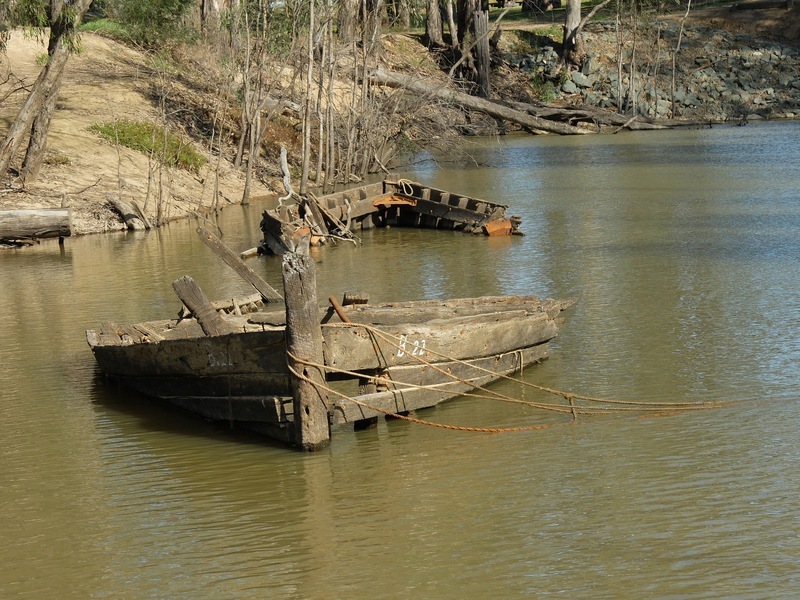 The river was recognised as an easy route for transporting produce to service the expanding markets of the Victorian goldfields. By 1857, merchandise from Adelaide carried by steamer to Albury exceeded 1 million pounds sterling. 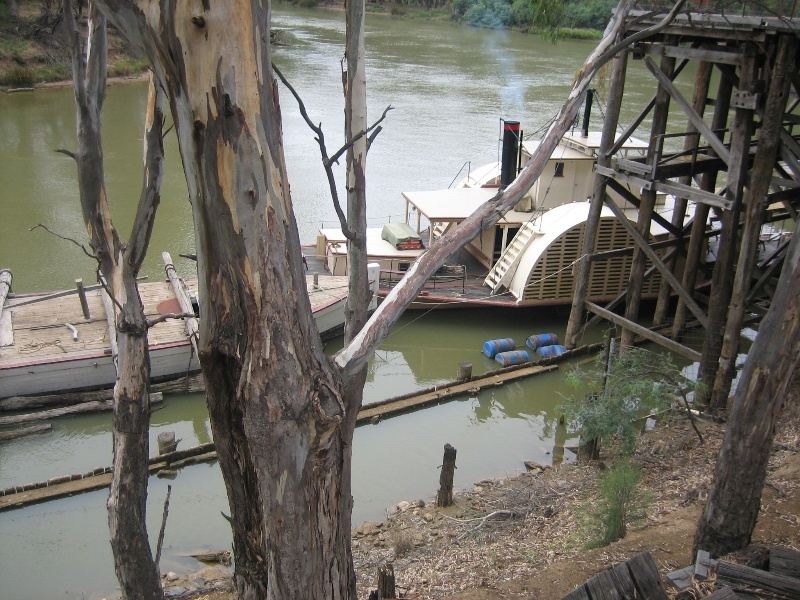 By 1866 there were 36 steamers plying the Murray River. The trade was varied. Steamers carried passengers, mail and supplies to the stations and returned with station produce for coastal markets. By 1870 the Murray was the main channel bringing inland wealth to the coast. The establishment of the river trade transformed inland pastoral industries. Station owners began to change from cattle, a good option when the only transport to market was overland, to sheep, because river transport of wool made sheep farming a better economic option (Murray Darling Basin Committee). Echuca quickly became the key centre for this burgeoning trade. The town of Echuca, the nearest point on the Murray River to Melbourne, was established in 1854 at a prominent river crossing with transport by punts to Moama, NSW, on the north bank of the river. As early as December 1855 it was recognized by the Victorian Government that Echuca was located on one of the most important roads in the colony, being at a crossing point to New South Wales, from where Victoria gained stock for food (Lee, 2003). By 1864 two essential factors in the growth of Echuca were in place: the port of Echuca and the railway linking to Melbourne. Their construction ended South Australia's short dominance of the Murray River trade. The Echuca port and the river trade for which it was built facilitated the movement of goods through Echuca, from points throughout the Murray Darling catchment, including the rich pastoral districts of the Riverina, to the salt-water ports of Melbourne. The partnership which developed between the river trade and the railway locked in Echuca's, and subsequently Melbourne's economic supremacy over its inter-colonial rivals until well into the 1890s (Lee, 2003). The building of the wharf was commenced in 1864 and was completed in 1867, reaching 303 feet 6 inches (92.4 metres) in length (Ward, 1992). The Wharf was erected by the Public Works Department, and constructed by G. Dwyer and Co (National Trust citation FN B1993). As the trade grew, so did the wharf, being extended in 1877 and 1879, and sheds and cranes added. Final extensions to the wharf were completed in 1884, the wharf ultimately reaching 332 metres in length (Ward, 1997). Echuca became the second busiest port in Victoria (Lee, 2003). By 1882, trade being conducted on the rivers was estimated at £5 million per annum, a large amount of that being in wool imported into Victoria from NSW. It was the more densely settled areas of the Darling and Albert districts and the Riverina that provided trade advantages, and it was to these areas that trade was directed. Prior to 1882 runs in these areas of 45,000 to 50,000 sheep were considered large, but the more direct access to markets and competitive advantage provided by river traffic, resulted in stations like 'Dunlop' and 'Tirale' running more than half a million sheep each in that year (Painter, 1979). 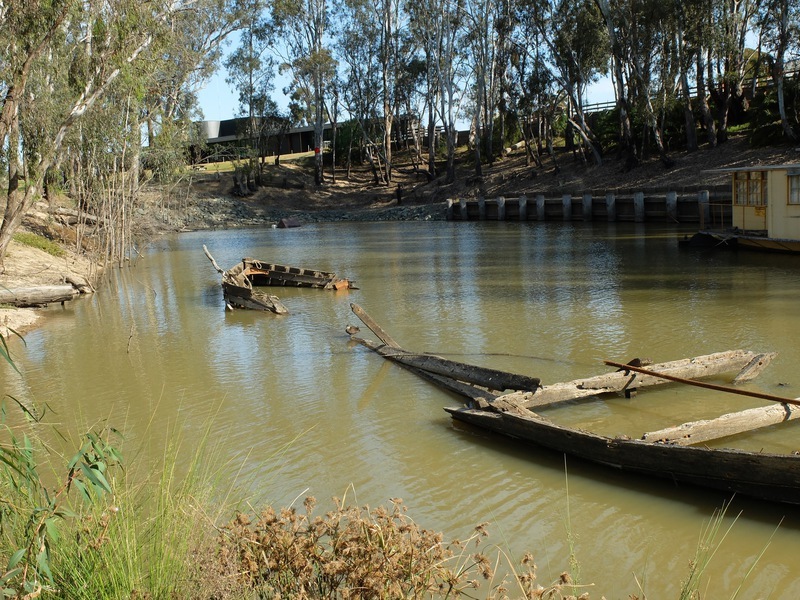 In addition to facilitating the shipment of western NSW produce through Echuca and Melbourne, another factor contributing to the development of Echuca was the difficulty experienced by South Australia in establishing a viable river trade. The sand bar at the mouth of the Murray necessitated the transportation of goods by railway from Goolwa on the river to Port Elliot, and after 1854 to Victor Harbour. From these ports the cargo had then to be shipped to Adelaide. In all it was a cumbersome and expensive operation (Ward, 1992). After the 1880s the river trade started to decline, with the financial crisis of the 1890s hitting the local economy hard. The extension of the railway network in both New South Wales and Victoria also took away valuable trade. The NSW rail network was expanded south to reach Wagga and Narrandera in 1881, and ultimately Hay in 1882. By 1885, the rail line also reached the Darling River at Bourke and began to siphon off the lucrative wool trade from the area (Ward, 1992). In Victoria railway lines reached Wodonga in 1873 and Wahgunyah in 1879, cutting off most of the short haul river traffic between Echuca and Albury (Ward, 1992). While the extensions of these rail networks affected the previously prosperous river trade, the most significant feature of railway operations on both sides of the border was the application of preferential rates. All traffic west of Hay and Mossgiel was subject to a lower rate by the NSW Railways if it went to Sydney. Southern and Western Line consignors were similarly advantaged. The effect of this was that wool from the areas east of Hay and in the vicinity of Bourke, which had previously been exported through Echuca and Melbourne, now went to Sydney via the new railway (Ward, 1992). 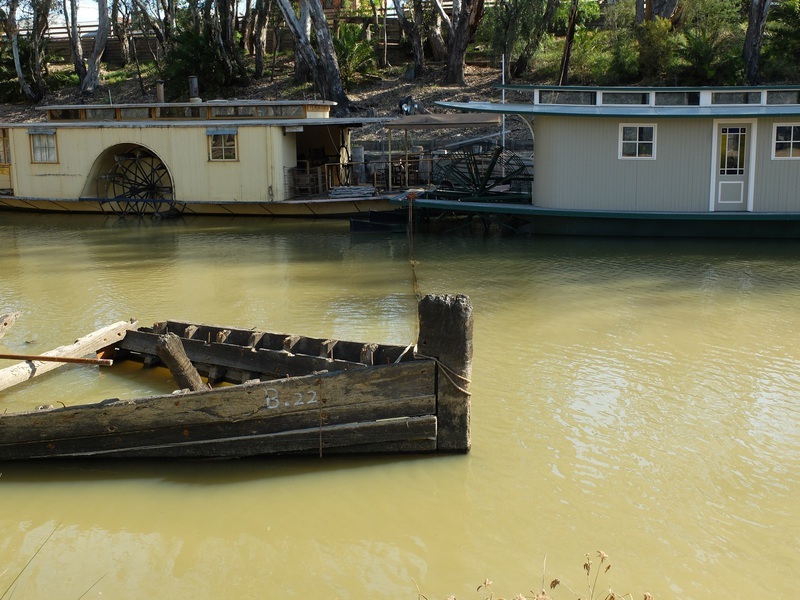 The population of Echuca began to decline in the 1880s and the wharf fell into disrepair, though it still saw some commercial use. During World War II, Victorian Railways began to demolish the wharf to provide firewood for Melbourne, reducing it to only 75.5 metres, one quarter of its ultimate length. The original spur railway line to the port was removed in 1971 (Lee, 2003). Since the 1960's, the wharf and paddle-steamers have found a new life, servicing the ever increasing tourist trade, attracted to the romance of the river and the 'Age of the Paddle-steamers'. By 1971 Campaspe Shire Council had received two government grants and had a committee in place to manage the development of the Port Precinct. The aim of this body, now the Port Authority, is to undertake development compatible with maintaining the historical integrity of the Precinct. In May 2000, a grant of $150,000 was allocated by the State Government to help rebuild the spur line from the railway station. 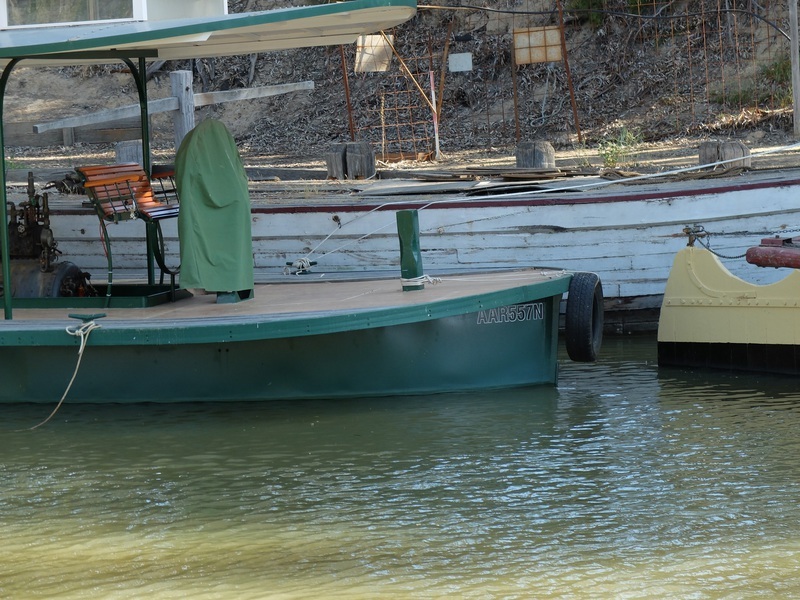 Echuca Wharf reflects the importance that the Port of Echuca played in the economic growth experienced by the colonies of Victoria, New South Wales and South Australia in the second half of the 19th century. The construction of the wharf and railway at Echuca in the late 1860s facilitated the movement of goods to and from the pastoral districts of the Riverina and western NSW to the ports of Melbourne and Adelaide. More direct access to markets led to a rapid expansion in the scale and value of these pastoral districts, and in turn to increased river trade, requiring the extension of the wharf. 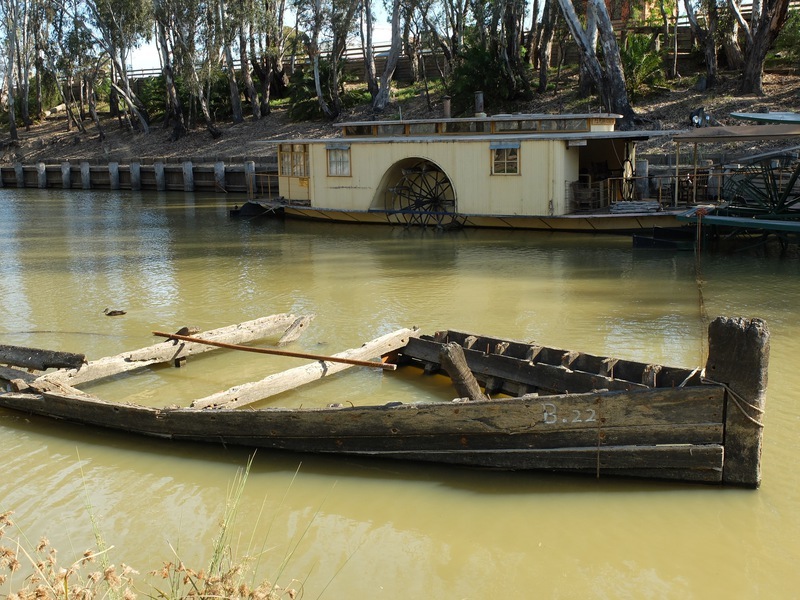 The Port of Echuca became the pre eminent port for Murray River trade (estimated to be £5 million per annum in 1882), and Victoria's second largest port up until the 1880s. The wharf and railway at Echuca were crucial in the process of Melbourne wresting the status of Australia's economic capital from Sydney. The massive red gum structure of the wharf in its current configuration, the timber remains showing the longest extent of the wharf and the visual dominance of the wharf within a relatively undisturbed setting together provide evidence of the importance of Echuca as a pre-eminent trading port. The cargo shed, cranes, jib, fence and railway track, although not original, contribute to an understanding of the functioning of the port, the use of the wharf by paddle-steamers, and the relationship between the port and the railhead. The wharf has been restored to its appearance during the river port era. Substantial works have taken place over the years on the portion of wharf which remains, including the renewal of original piles, braces, beams, cross-heads and sheeting (Ward, 1997). The railway and wharf are both intact although not complete. The red gum wharf was at its greatest extent 332 metres in length. About a quarter of it remains, although this is the original quarter, and is thoroughly representative of what was demolished. The wharf has had a continual renewal of fabric (of the same material) and further repairs are required and planned. In order to ascertain the integrity of the structure, a major engineering study was undertaken in 2001. This study found the wharf to be safe, and recommended a ten year maintenance works program, with an estimated cost of $2 million. 5. Old retaining wall extending approximately from MGA point 297383mE 6000092mN to 297399mE 6000102mN. 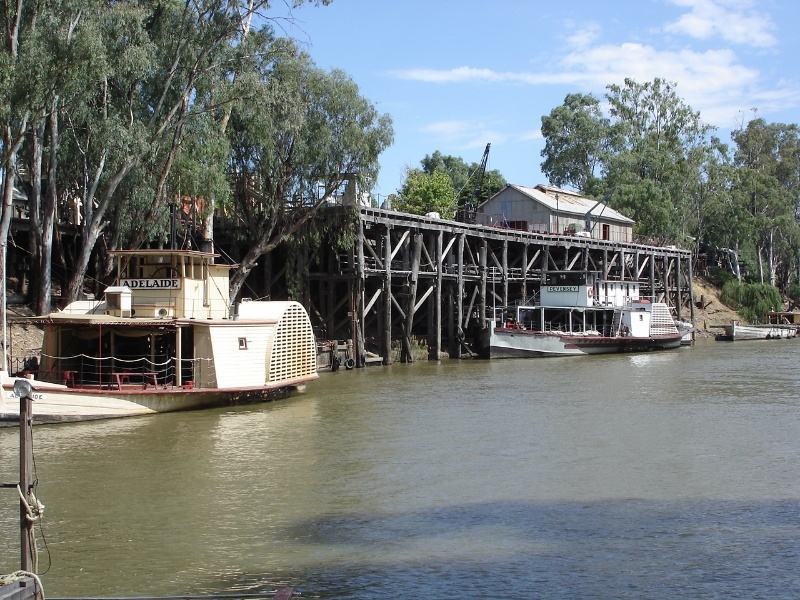 The Echuca Wharf lies within the border of New South Wales, the border line being along the south bank of the Murray River. 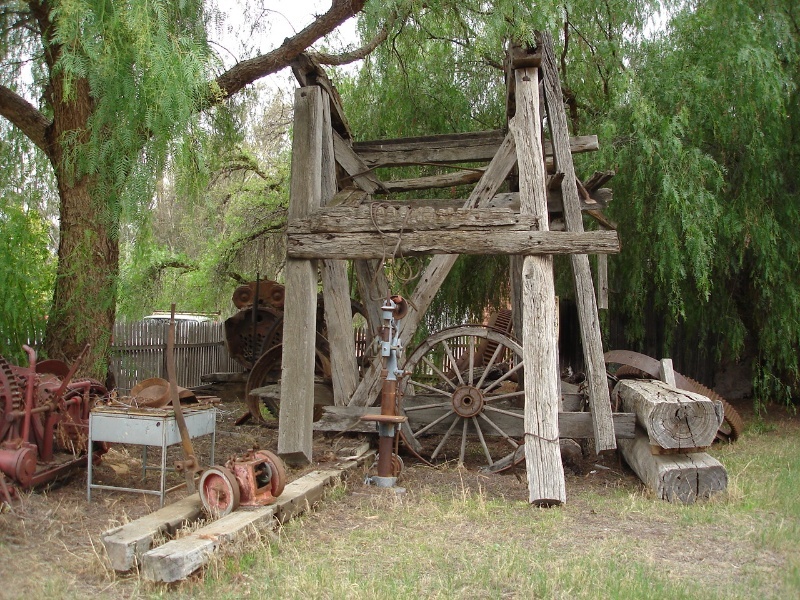 The Echuca Wharf is constructed entirely from timber, said to be the fine local red gum, in long straight grained pieces no longer available. The great height of the wharf allowed for the ten metre variation in winter and summer river levels, so that goods could be unloaded all year round. Cranes, wool presses and bond stores were built along the upper level and goods were loaded at a railway siding, of which some elements remain. The Echuca Wharf is 75.5 metres in length (its previous ultimate length was 332 metres, before parts of the wharf began to be dismantled) and is over ten metres, or three stories, high, enabling the wharf to operate in both high and low rivers.The wharf is constructed from river red gum (felled and milled locally). Various parts of the wharf and associated infrastructure have been renewed and/or restored throughout the years. Remnant timber pylons (visible only at low water) some distance from either end of the current wharf demonstrate its ultimate length. The remaining wharf structure is the central section of the original structure, largely original but with repairs over time. Within the main wharf frame, several piles, braces and beams have been replaced. The catwalk has been reconstructed and the staircases to the north and south ends are presumed to include early elements. The wharf decking is replacement fabric (using the same type of timber as the original), date unknown. The northern crane occupies the site of an earlier crane and is different to the original cranes on the wharf. The southern crane is similar to one of the original cranes installed in 1865; it was sourced from a station yard at Wacool. The jib closely matches evidence of an earlier crane at the wharf (from the 1877 extension) and may have originally been part of wharf. The post and chain fence along the edge of the wharf is a reconstruction of the original fence, although the eye through which the chain passes appears to be smaller than the original. There were originally many more railway tracks than those currently represented. The nominated area also contains a relocated cargo shed (now used for interpretation purposes) which is not original but is of the same style and vintage of sheds which were on the wharf, a relatively recently constructed railway platform and relocated station building, a relocated pedestrian overpass, a small shed (not original), several relocated early lamp-posts and numerous introduced props. Echuca/Moama is regarded as the home of the largest number of paddleboats in the world (http://www.murrayriver.com.au/boating/paddlesteamers/portofechuca/default.htm). The wharf is still operational, open to the public 364 days of the year, with three tourist cruising paddle-steamers (P.S. Adelaide, P.S. Alexander Arbuthnot and P.S. Pevensey) leaving from the wharf daily. Built between 1865 and 1884, the wharf was essential to the steamer trade which carried wool, timber and other goods along the Murray River. All exempted alterations are to be planned and carried out in a manner which prevents damage to the fabric of the registered place or object. General Conditions: 2. Should it become apparent during further inspection or the carrying out of works that original or previously hidden or inaccessible details of the place or object are revealed which relate to the significance of the place or object, then the exemption covering such works shall cease and Heritage Victoria shall be notified as soon as possible. Note: All archaeological places have the potential to contain significant sub-surface artefacts and other remains. In most cases it will be necessary to obtain approval from the Executive Director, Heritage Victoria before the undertaking any works that have a significant sub-surface component. General Conditions: 3. If there is a conservation policy and plan endorsed by the Executive Director, all works shall be in accordance with it. Note: The existence of a Conservation Management Plan or a Heritage Action Plan endorsed by the Executive Director, Heritage Victoria provides guidance for the management of the heritage values associated with the site. It may not be necessary to obtain a heritage permit for certain works specified in the management plan. General Conditions: 4. Nothing in this determination prevents the Executive Director from amending or rescinding all or any of the permit exemptions. General Conditions: 5. All works including demolition and internal modification to structures not included in the extent of registration are permit exempt. Additions to structures not included on the extent will require either the approval of the Executive Director or permit approval. It should be noted that the place is also registered under the provisions of the New South Wales Heritage Act and as a consequence permits and approvals must be issued by the appropriate authority in each jurisdiction. It should also be noted that permit exemptions only apply for the whole of the place if they are issued by relevant authorities in each jurisdiction. The purpose of the Permit Policy is as a guide to the consideration of and the making of decisions regarding works to the place. It is recommended that any proposed works be discussed with officers of the Heritage Branch, New South Wales Department of Planning and Heritage Victoria (or their successor organisations) prior to them being undertaken or permits being sought. It is important that any proposed changes to the place are considered and assessed on the basis of clearly defined plans and proposals and must be planned and carried out in a manner which prevents damage to the significant fabric of the registered place. 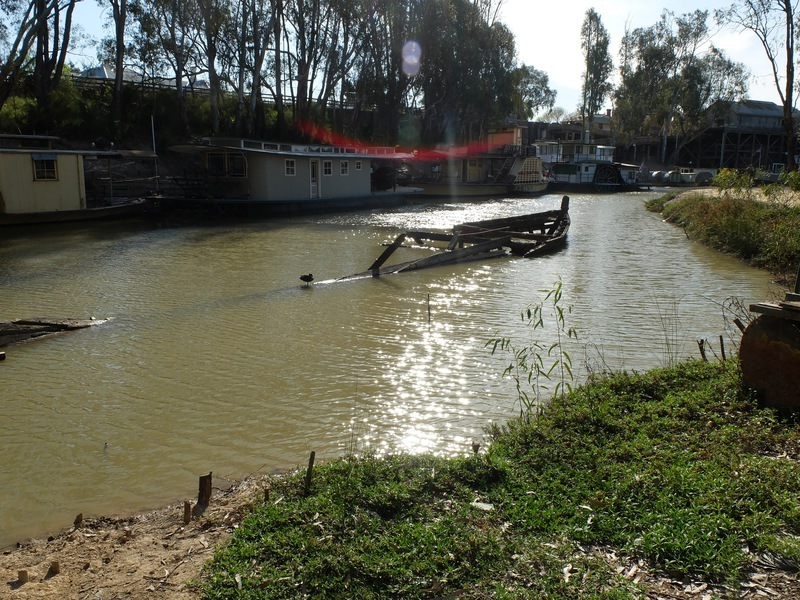 A study entitled Echuca Wharf and Aquatic Reserve Conservation Management Plan was prepared by Andrew Ward in 1998. 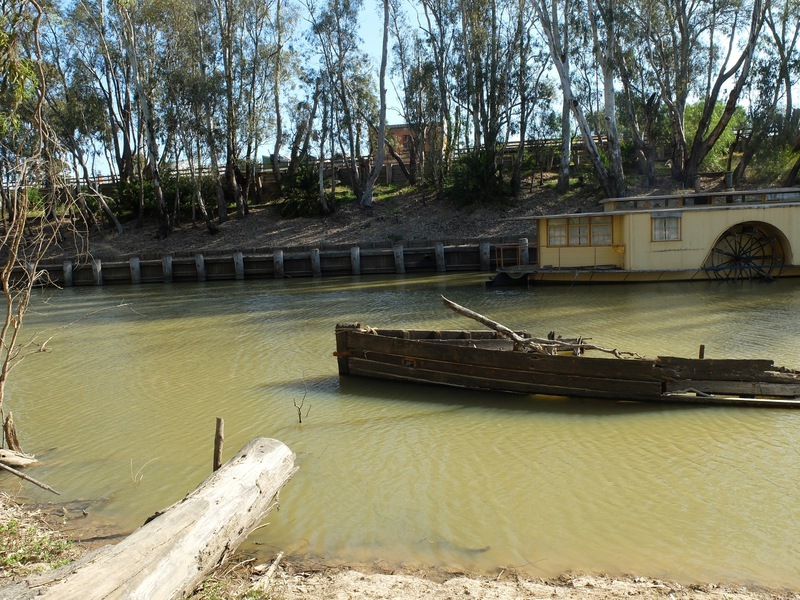 It is recommended that before any proposed changes are undertaken the 2007 Echuca Wharf Conservation Management Plan by Lovell Chen should be consulted. All works, unless permit exempt, must be approved by the appropriate authorities in each jurisdiction. The relevant authorities in each jurisdiction will ensure that the other relevant authority is advised of proposals for works to the wharf and co-ordinate the issuing of permits and approvals. 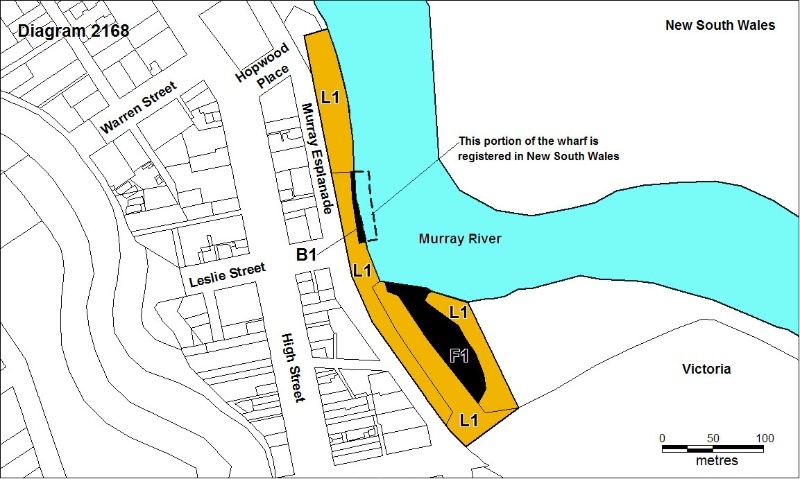 If works are proposed for the entire wharf, the Heritage Council of Victoria may at its discretion provide permit exemptions for the portion of works which impact on the Victorian registered portion of the place subject to Section 66 of the Heritage Act 1995.